Celine Chen, 14, first touched a piano at age 4 and is currently studying with Nobuyo Nishizaka. Celine has been a winner in numerous piano competitions, including the Grand Prize award from Satori Young Piano Competition, the James Ramos International Competition, the CAPMT Sonatina Competition, the CAPMT Romantic Competition, the MTAC Scholarship Competition and also the International Music Talent American Protege Competition, which allowed her to perform at Carnegie Hall in the winter of 2017. 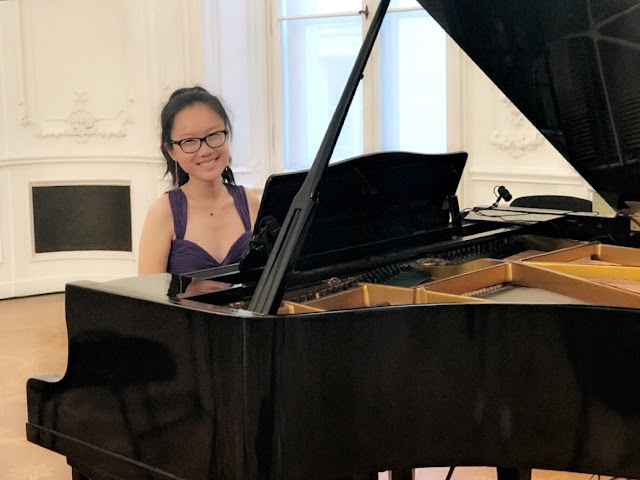 Celine is an active member of the Los Angeles Junior Chamber Music, and has received a scholarship to the Montecito International Music Festival, in which she had an opportunity to have a masterclass with Dr. Thomas Lymenstull. She also has had masterclasses with Petr Jiříkovský and Avedis Kouyoumdjian on her honor tour with JCM in the summer of 2018. In addition to her passion for music, Celine is also a principal flutist in her school, a member of CSUN Philharmonic Orchestra and the California All State Honor Band. Celine plans to pursue music, both as a pianist and flutist, in the future.